When it comes to self-cleaning litter trays, there are so many different brands and models that don’t make it clear if it is a suitable version for you. If you have multiple cats or a large adult cat, then you will want something bigger but have no idea which one can accommodate them. On the opposite end of the scale, you could have one small cat and therefore be looking for a litter tray that is compact enough to sit discreetly in the corner of the room. If you are looking for a self-cleaning litter tray that is built just for one cat, then the Nature’s Miracle Single-Cat Self-Cleaning Litter Box is ideal for you. Its size and its features make it a very appealing purchase for someone with just one cat. But how can you know for sure if it is right for you? Here we will help you figure that out. The compact size: If you have just one cat, then naturally you do not want a large litter tray that is going to take up a lot of room unnecessarily. 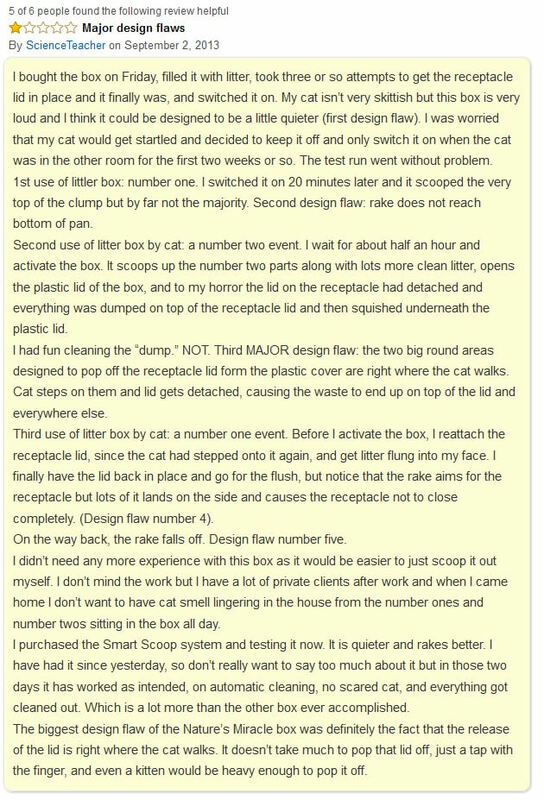 This is why this litter tray is perfect for anyone who owns just one cat. Its compact size means that it can sit discreetly in the corner without taking up a lot of room and without attracting too much attention. It is a great way to downsize a little on your litter tray area while still keeping enough space for your cat to do its business in an environment it feels comfortable in. Anti-stick plastic: When it comes to self-cleaning litter trays, one of the downsides is that it can often lead to smeared waste appearing along the inside walls whenever used litter is cleared away. With this litter tray however, the walls are made with anti-stick plastic so then none of the waste gets smeared as it is cleared away with the rake. This makes it a much easier litter tray to clean and maintain than some of the other self-cleaning models available on the market right now. Indicator light: Some people can find it quite difficult to know when exactly they should change the used litter box when it comes to self-cleaning trays. Some models claim they don’t need to be changed for a fortnight or a month, when in actuality it is a lot less. With this tray however, you will find a very helpful indicator light that will tell you when the waste box is full and needs emptying. This is a great way of taking the effort of having to check on it all the time out of your hands completely. Faulty if cat uses back of the tray: If your cat is using the middle of the tray when it goes to the toilet then it should work completely fine. If however your cat is using the back of the track near the rake, then it can cause a few problems. The clumps of litter that have been used can get caught up in the rake if it is too close, thus making the motor work harder and increasing the chances of it breaking down. If your cat tends to use the front or the middle of the tray more often that this will not be a problem, but you may need to check on it if your cat tends to use the back of the tray to do its business. Loud Motor: The Nature’s Miracle Single-Cat Self-Cleaning Litter Box has a similar problem that many other self-cleaning litter trays have. Sometimes the motor can be quite loud, particularly if there is a lot of litter to be cleared away. This is something that will cause minimal disruption if it is kept in an area where the noise is not noticeable. It can however be a little irritating if the litter tray is kept close by. The Size: While the size of the tray is supposed to be a unique selling point for people who own just one cat, it can also represent a problem. If your adult cat is quite large then it may have a problem using this tray, or they may have difficulty finding it comfortable to do its business. If your cat is used to smaller spaces when they go to the toilet then it will not be an issue, but you may have to keep an eye on it if your cat is fairly large. It is not advised you do this. 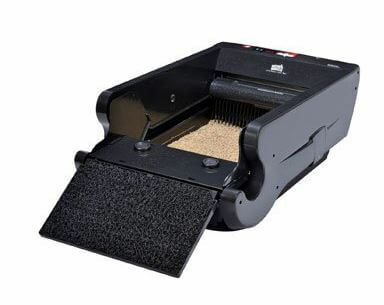 In fact, wood pellet cat litter should not really be used with any model of self-cleaning cat litter trays as they can prevent the clumping of used litter and can also cause damage to the cleaning system. This is why the majority of self-cleaning trays tell you that you have to use clumping cat litter in order to make sure that everything works properly at all times. 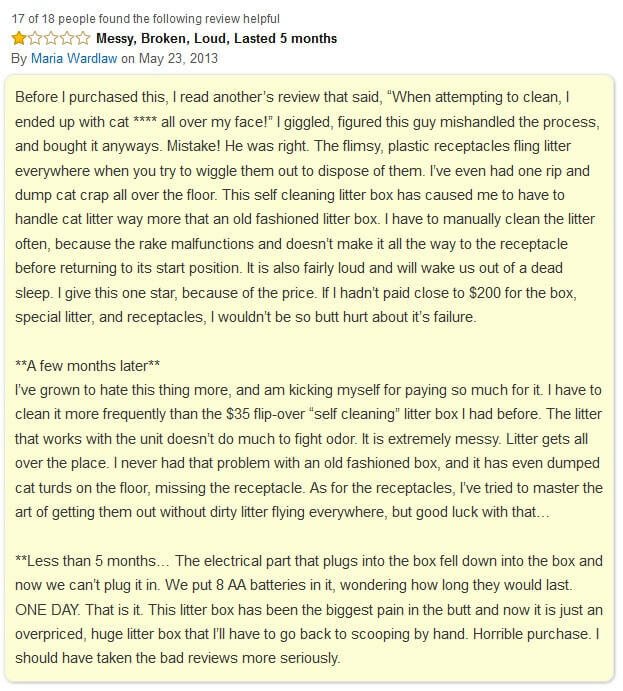 It is best to stick with whatever brand is recommended by the Nature’s Miracle Single-Cat Self-Cleaning Litter Box, or a cheaper equivalent if you are looking to save a little money. The litter area of the litter tray is 13×13. This should be enough for a full sized adult cat, but as we have discussed above, this may not be the case if you have a larger cat. The best thing to do is see how big your current litter tray is and then see if these dimensions will be enough to accommodate your cat. In most cases, the only way you will be able to tell if it is okay is through trial and error. The Nature’s Miracle Single-Cat Self-Cleaning Litter Box is one of the few litter trays you can find that is made specifically for one cat, and that makes it a very appealing purchase. It is compact but still have the ability to accommodate your fully grown adult cat without much difficulty. It’s seriously easier to just do it manually. designed to cost you time and money. Didn’t work with wife’s favorite clumping litter which bunched-up in front of plastic rake and was then swept into poop receptacle. 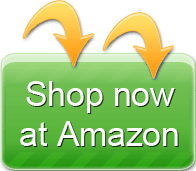 Receptacle is flimsy and designed to be discarded – so you will spend more money buying replacements. Receptacle lid doesn’t easily attach and got stuck closed – so poop was dumped outside receptacle. My wife was excited about this purchase but it’s been a disappointment.